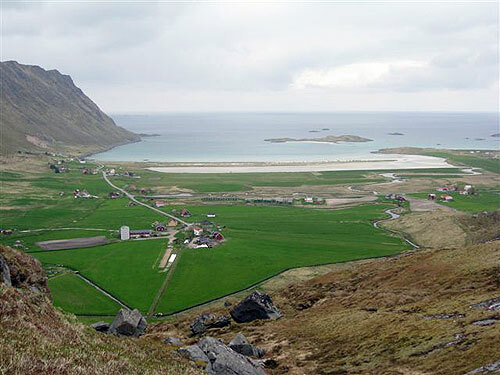 Lofoten Peat Museum is the major attraction in Fredvang. You can have a preview of this by clicking the link on the left. The Lofoten countryside is magnificent and in Fredvang you will find mountains that are both mighty, and yet easily accessible to ramblers. At the turn-off to Fredvang, before you cross the bridges, you will find a map where most of the tourist businesses are shown. This is intended to make it easier for you to find your way when visiting. On the map, three signposts in Fredvang itself are shown. These signposts show several different hiking trails which we are sure you will like. The inhabitants of Fredvang wish you a warm welcome and hope you have a pleasant stay.